Train with the 10th Planet Freaks under black belts Richie “Boogeyman” Martinez and Geo “Freakahzoid” Martinez and receive the best jiu jitsu training in San Diego! We offer world class no-gi jiu jitsu training for all levels. Whether you have goals of competing against the world’s best, getting in shape, or learning something new, 10th Planet is for everyone. Join us in 2019! 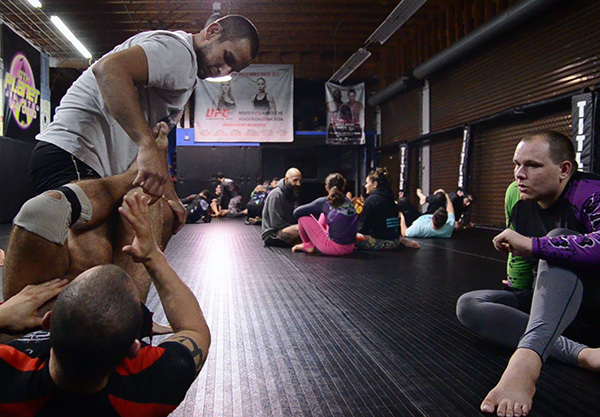 We also provide striking, MMA, and strength and conditioning classes to supplement our jiu jitsu program. We offer a friendly yet competitive class environment to push you to a new level. We teach 10th Planet Jiu Jitsu, Mixed Martial Arts, Boxing, Kickboxing, Wrestling, Strength and Conditioning, and Kid’s Programs here at the gym. We pride ourselves on providing nothing but the best instruction and training in San Diego. All of our classes are taught by professional fighters and competitors in their field. 10th Planet San Diego Jiu Jitsu has classes all day to fit your schedule. As a member, you also have access to each of our locations at 10th Planet Spring Valley, 10th Planet Oceanside, and 10th Planet Poway as a part of San Diego Combat Academy. Came to train and took class the first night with Geo and the second with Boogey. Their concepts are outstanding and battle tested as both athletes and competitors. Everyone was welcoming and made us feel like we were at home. Best academy in San Diego by far.